I first read Ian Campbell’s photo as “Letterers are effete A-holes,” which was kind of astonishing. I couldn’t see how anyone could have anything against “letterers,” those nice letter-painters who make signs such as “Curb Your Dog,” and used to, when they started, illuminate the first letters in incunabulae. Perhaps, I thought, the word was meant to be “littérateurs,” French for litterati, which is Italian for snobs. In that case, yes, I have seen cases of effetism. Not lately, though. I’ve noticed an alarming decrease in effete snobs and it’s worrying me. The ranks of writers consists mostly of plain folk these days, you’d be hard put to find snobishnessness or effetery. It’s a demographic shift: most writers live now in plain folk areas, most writing tries to be friendly to the folks (if not downright folksy), and writers themselves are not easy to identify by sexual genre, because gay isn’t so chic anymore. There might be a pocket or two of effete literatti in New York, but they are old and practicing only part-time: it’s exhausting to be a bubbly old effete for more than two hours now, everyone over a certain age watches their drinking. And what’s there to be snobbish about anymore? Can you really look down your nose on people because you’ve read more books than they did? After eight years of an inarticulate Bush who was a plain-folk massacrer of English, it’s hard to ridicule anybody. The man set the bar too high. Now that he’s gone, we might finally see somebody on TV who can finish a compound sentence and mean what he says. The Obama age might bring back the effete snob, but I doubt it. 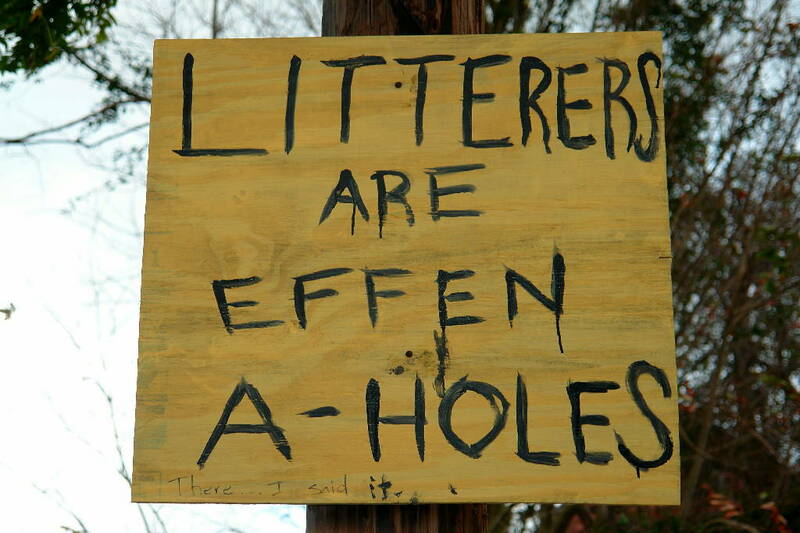 Plain folks are here to say, and the age demands the abuse of litterers, just like the sign says. The few of us mouthing words out loud from our Kindles in airports, will just have to stay smiling.